The Virginia Federal EITC notice has been updated with information for the 2018 tax year. If you recently purchased the 2019 Virginia Job Safety and Health Peel ‘N Post™, you must purchase a 2019 Virginia EITC Peel ‘N Post™ to remain in compliance. 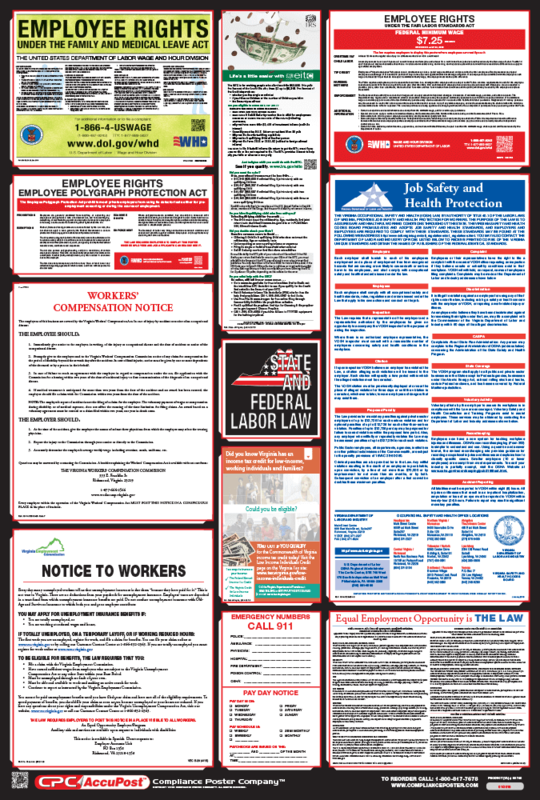 If you did not previously purchase the 2019 Virginia Job Safety and Health Peel ‘N Post™, purchase the 2019 Virginia All-On-One™ Labor Law Poster to ensure that all mandatory notices are up to date. What’s changed on the 2019 Virginia EITC Notice? 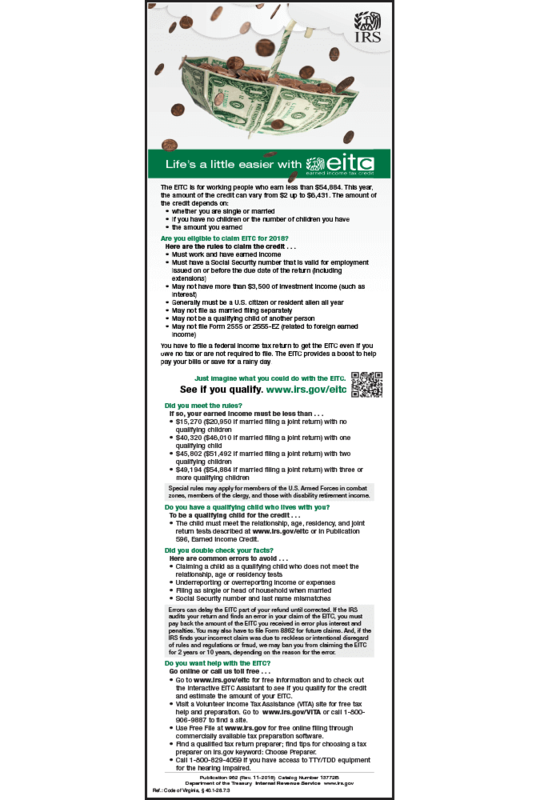 The Virginia EITC notice (IRS Publication 962 / Life’s a little easier with EITC) has been updated with information for the 2018 tax year. The notice now provides a website URL where individuals can find a Volunteer Income Tax Assistance (VITA) site for help with their tax returns. The revision date on the notice has been changed to 11-2018. The revised notice was published to the IRS website in early February to help employees prepare for the April 15, 2019 tax filing deadline. Who is required to post? Every Virginia employer must post “any notice provided by the Virginia Department of Social Services that informs employees that they may be eligible for federal and state earned income tax credits and may apply for the credit on their tax returns or receive the credit in advance payments during the year.” (Code of Virginia § 40.1-28.7:3) The Virginia Department of Social Services currently provides IRS Publication 962 as the employer poster to fulfill the federal EITC posting requirement.